Very quiet environment, much light, apartment is well equipped and comfortable. 15' walk to the supermarket and the beach. Owner friendly and helpful. Good location. 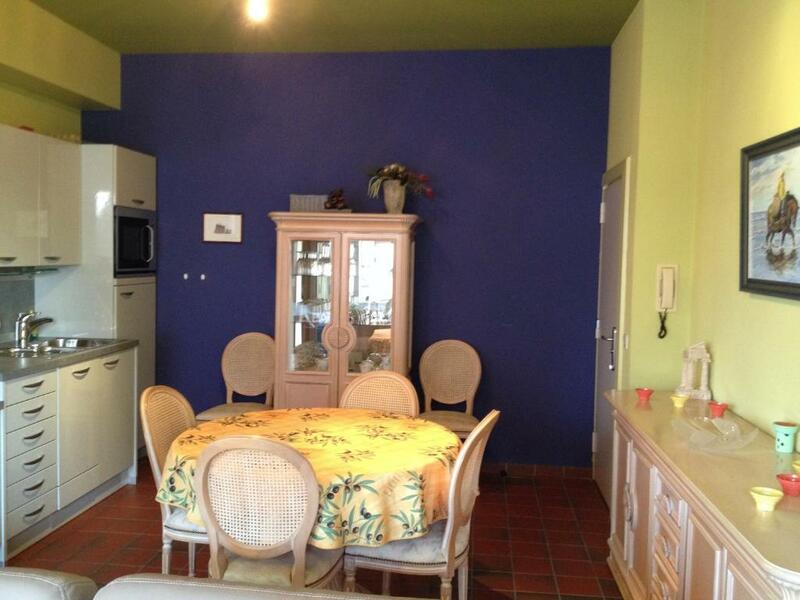 Just a 10 minute walk to the beach, bakery and supermarket. No sea view though. New furniture. Well equipped kitchen. Baby high chair available, although not generally child friendly (sharp corners, hard floors, white sofa). Easy communication with the owners. Die Wohnung liegt in einem ruhigen Haus in ruhiger Lage. Die Ausstattung der Küche ist hervorragend. 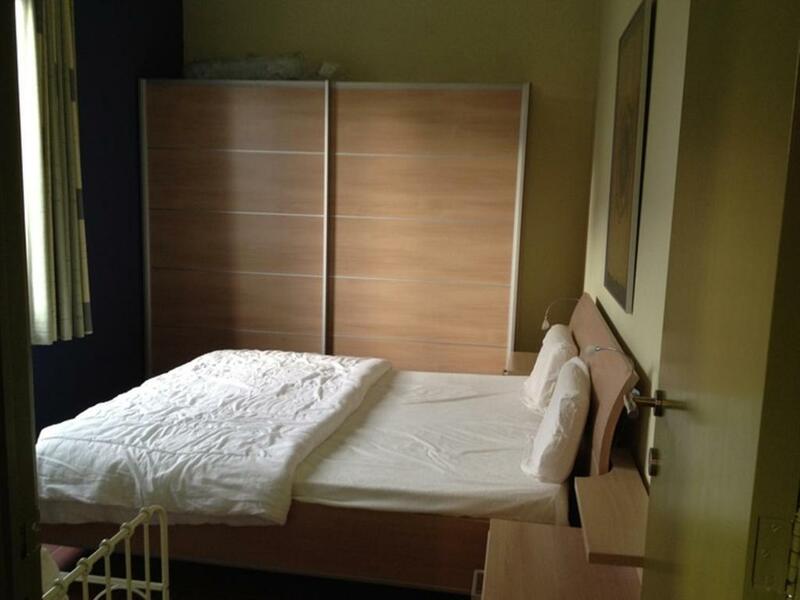 Auch die restlichen Zimmer sind super ausgestattet und sehr sehr sauber. Das Bad ist ebenfalls Top und lässt keine Wünsche offen. Die Infrastruktur um das Haus ist sehr gut.Danke für diese tolle Wohnung. wat onmiddellijk opviel was de rustige en stille omgeving, en toch vlakbij de winkelstraat en het strand (op 10 min stappen) zeer netjes en ruim, snel op te warmen en gezellig. er werd op aanvraag van mijn kant voor leeslampjes gezorgd, super service ! 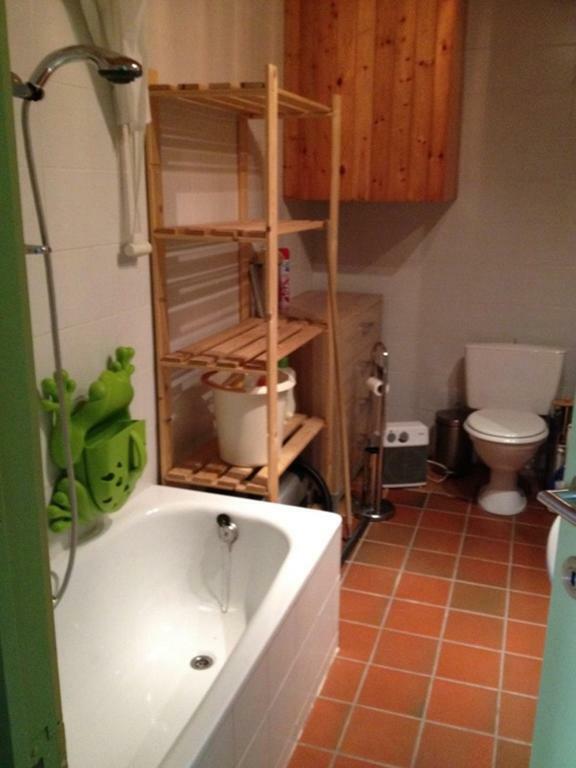 Très belle endroit, appartement spacieux pour 2 adultes et 2 enfants (6 et 4ans). Très calme et reposant. Lit très confortable, salle de bain spacieuse. Le coin cuisine avait l'air bien équipé, nous n'avons pas eu l'occasion de l'utiliser. Ein schönes Appartement mit allem was man braucht. Sehr sauber ein sehr bequemes Bett ruhig gelegen und nur 600 m bis zum Strand. Wir werden nochmal wiederkommen. Tout était Parfait, hôtes sympathiques et flexibles. 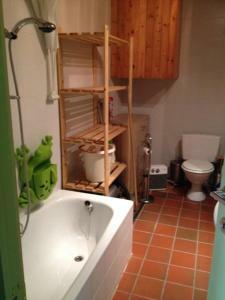 Appartement au top et super complet. Lock in a great price for Lermitage Oostduinkerke – rated 8.6 by recent guests! One of our best sellers in Oostduinkerke! 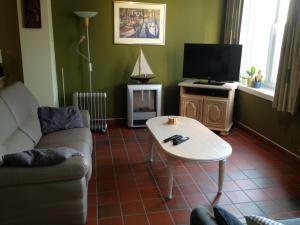 Located 1,950 feet from the beach in Oostduinkerke-Bad, Lermitage Oostduinkerke offers free WiFi and free parking. The apartment will provide you with a living room and a TV. There is also a separate kitchen providing all cooking facilities. The bathroom comes with a bath. Extras include cleaning products. The closest restaurant is 650 feet away. More shops, bars and restaurants are found 1,650 feet from the apartment. Plopsaland is 4.7 mi away. This property is also rated for the best value in Oostduinkerke! Guests are getting more for their money when compared to other properties in this city. When would you like to stay at Lermitage Oostduinkerke? This apartment features a tile/marble floor, kitchenware and dishwasher. A maximum of two children up to an age of 12 are allowed. This apartment features a private entrance, kitchen and electric kettle. Only 1 child with a maximum age of 6 is allowed. Als eigenaar beheren wij onze twee appartementen zelf. Wij vinden het sociale contact met de klant belangrijk. House Rules Lermitage Oostduinkerke takes special requests – add in the next step! A EUR200 damage deposit is required 0 days before arrival (about USD226.05). This deposit will be fully refunded 0 days after check-out, as long as there isn't any damage to the property. A security deposit of EUR 200 is required upon arrival for incidentals and needs to be transferred two weeks before arrival. The property will contact you via email on this matter. This deposit is fully refundable within 5 days after check-out and subject to a damage inspection of the accommodations. Please note that bed linens and towels are not included in the room rate. Guests can rent them at the property or bring their own. Please note that the property needs to be cleaned before departure or we can clean the property for you against an additional fee of 45 EUR. A damage deposit of EUR 200 is required. That's about 226.05USD. This will be collected by bank transfer. You should be reimbursed on check-out. Bit difficult to find as there is a gate restricting access to the house from one side. Noise from neighbours through the night. No balcony or garden. Cleaning and bedding are not included.